After years of legal maneuvers, the two companies vying for rights to Fallout have buried the legal hatchet. Bethesda and Interplay's long-running lawsuit over the rights to the Fallout hasn't really accomplished much other than holding up the development of Fallout Online. Late last year, Bethesda seemed to be having a tough time making headway against Interplay. Now, it turns out that the case is officially over. Today, DAC has confirmation that a settlement has, in fact, taken place. It actually took place the day of the trial -- and had I been able to get online and sort through the documents I would have reported as much. We do not yet have the details of the settlement -- they will be announced this month (January 2012) -- but we can report that on the day of trial, the atmosphere in the court room was tense until the judge recessed. This recess was extended, and then they recessed for lunch. After the lunch recess, the court room was locked to everyone except attorneys and clients. When our source asked why this was the case, our source was told it was because they were working out a settlement. The following day, another source called the court reporter to ask what the next hearing schedule for the case was -- this source was told there was no schedule as a settlement had been reached. Of course, it's likely that we'll never learn all the details about why both parties suddenly agreed to a settlement the day the actual trial was set to begin. 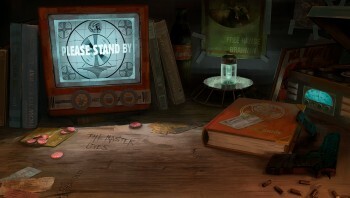 That said, some information is bound to come out in the near future when details about a Fallout MMO are formalized.